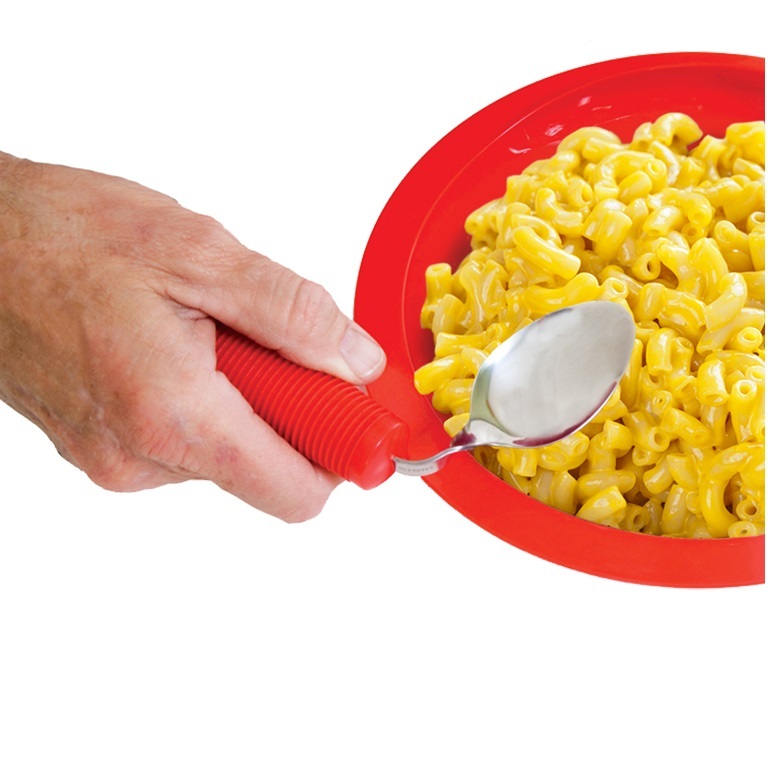 Bendable fork and spoon allow users to adjust the utensil to the best angle for self feeding. 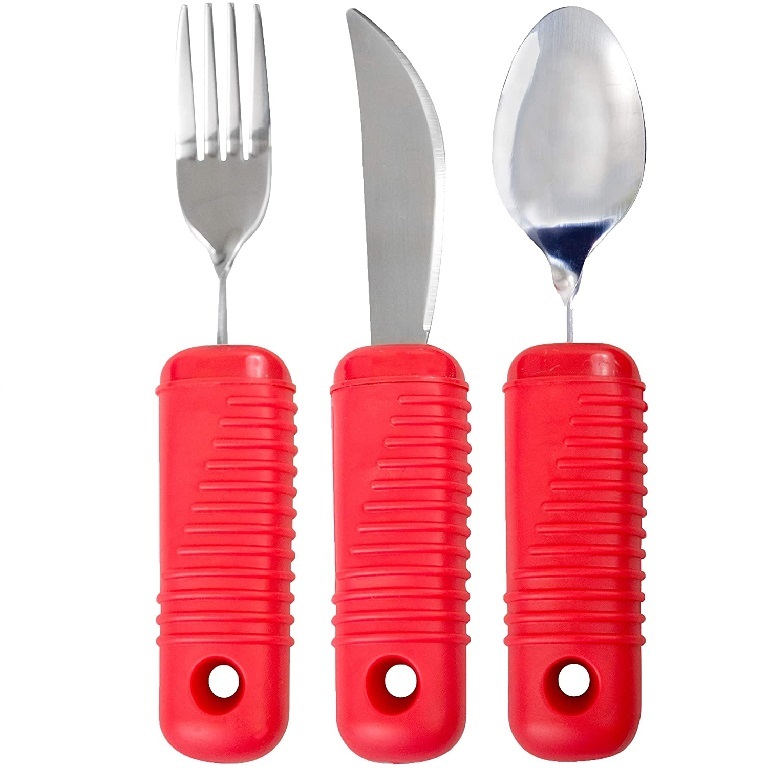 The Power of Red Large Handle Utensils Set includes a bendable fork, bendable spoon, and rocker blade table knife. 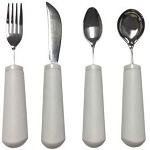 Caregivers will find the built up handle of these adapted eating utensils is easy and comfortable to grip. 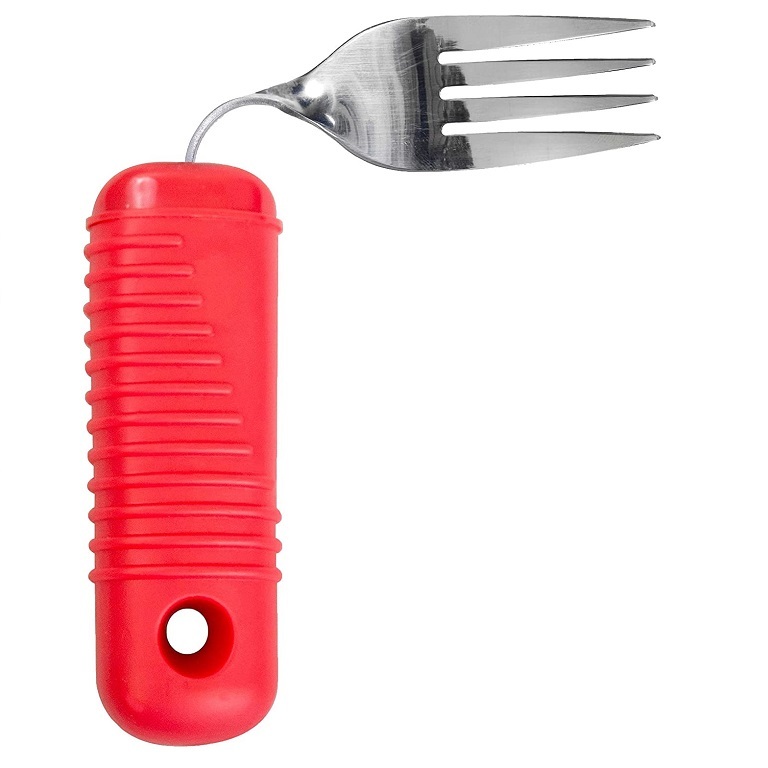 The Power of Red Large Handle Utensils Set includes a spoon and fork with flexible sections that allows the user to bend them to the desired angle. 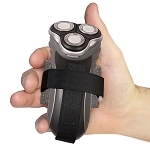 The knife has a rounded safety blade that allows users to cut food using a rocking motion. 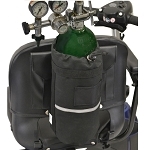 Each utensil has a soft cushion grip handle that makes it comfortable to hold. 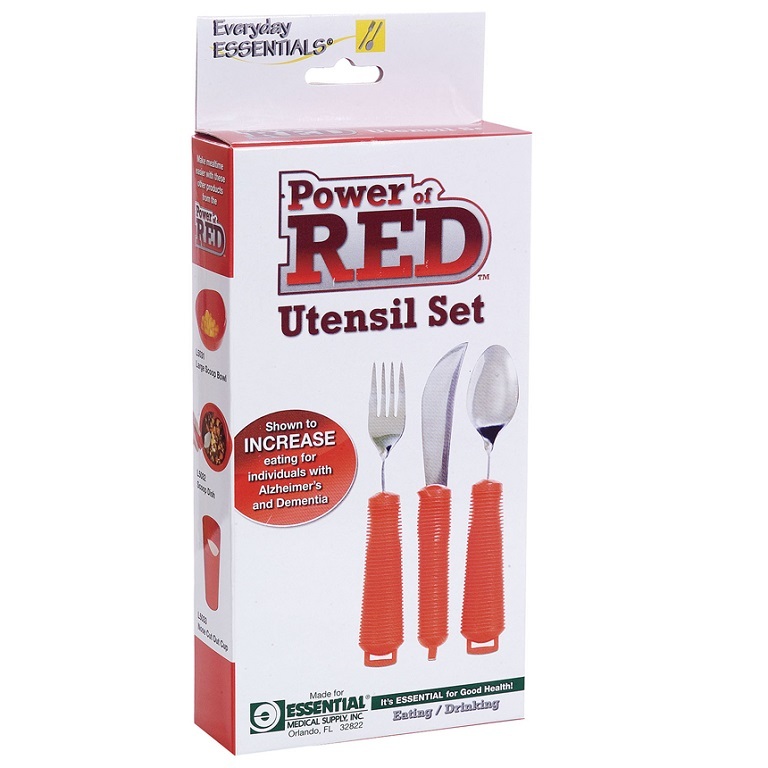 Caregivers will find the Power of Red Large Handle Utensils Set helpful for users who have difficulty holding standard utensils. The Power of Red products show high contrast between the table and food, allowing the user to more easily recognize what they are eating. 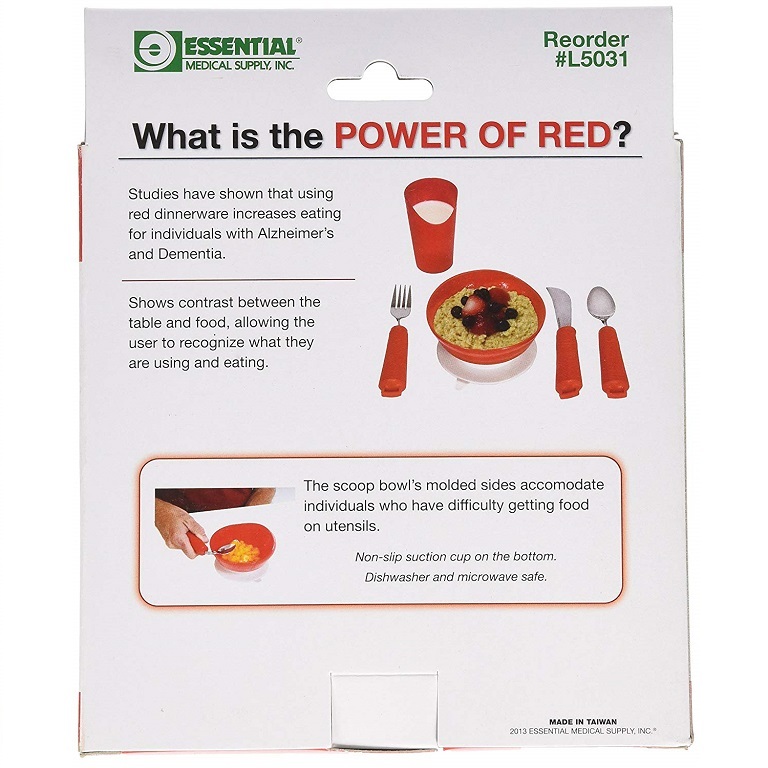 Studies have shown that using red dinnerware increases eating with for individuals with Alzheimer's and Dementia. 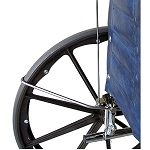 In addition, each product also facilitates eating for individuals with decreased motor skills. 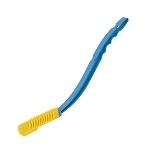 Fork Measures: Overall 8.11 inches long, handle 4.77 inches long, 1 inch diameter. 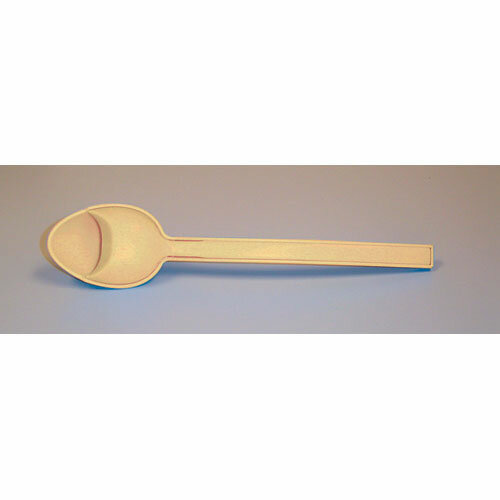 Spoon Measures: Overall 8.07 inches long, handle 4.73 inches long, 1 inch diameter. 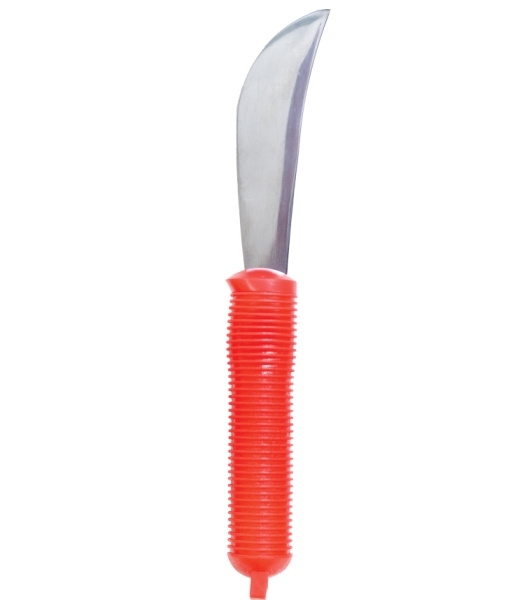 Knife Measures: Overall 8.46 inches long, handle 1 inch diameter. 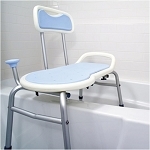 Includes: Bendable spoon, bendable fork, rocker blade knife.